If you’re looking for TV packages that include top TV shows such as Game of Thrones and Fortitude, you’re in the right place. Here you can compare Sky’s television packages at the best prices – which will give you unlimited access to its top channel, Sky Atlantic. Sky Atlantic is the home of premiere TV from the US and beyond. If you want to watch the very latest episodes of Game of Thrones and other big series, you'll need Sky Atlantic on your TV package. Read on for a more in-depth look at what Sky Atlantic has to offer, and how to get it, or start comparing deals with Sky Atlantic right now using the comparison table below. Call our sales and advice team: 0800 4661 043 What's this number? 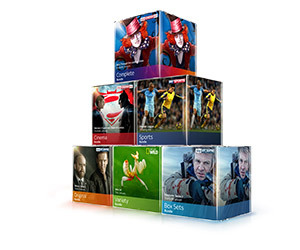 Watch over 60 freeview channels including 12 in HD all without a contract. You also have the ability to watch catch up TV with BBC iPlayer, ITV Hub, All 4 and Demand 5 all available. 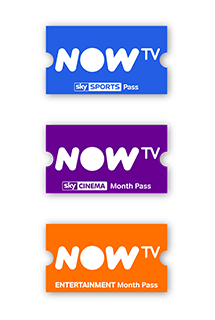 As well as the above with the Entertainment Pass you get 11+ fantastic additional TV channels, including Sky 1, Sky Atlantic, FOX, Gold, Comedy Central, Nat Geo Go Wild and more. You will also have 250+ Box Sets to watch instantly or on demand. Awesome TV without the commitment. Since its launch in 2011, Sky Atlantic has quickly become Sky TV’s premier television station. The station shows exclusive content to UK audiences, largely from the US, with its biggest hits including Game of Thrones, Dexter, House, Deadwood and Madmen. And the hits just keep coming. Recent additions to the schedule have included Westworld, Last Week Tonight with John Oliver and The Young Pope. Shows are available in both standard and high definition. The easiest way to get your regular fix is by signing up for a Sky TV deal. There are lots of Sky Atlantic packages, as all of its deals include the channel as standard (even the cheapest ones). As well as the standard channel in glorious HD you’ll also get Sky Atlantic +1 (if you miss the start of a show, just start watching it an hour later) – as well as access to all your favourite shows on catch-up. If you sign up for a television deal with Sky you also get the added bonus of access to Sky Atlantic on the go. With the Sky Go app you can stream your favourite shows via your laptop or PC, as well as watching many programmes when you’re away from home via your smartphone or tablet (the app is available to download on Apple and Android devices). Alternatively you could opt for NOW TV. This way you can get Sky Atlantic deals on a monthly basis without having to sign on for a lengthy contract. It isn’t a cheap way of watching Game of Thrones but it is super flexible – as well as being available on everything from games consoles, handheld devices and PCs right through to TV devices such as Chromecast, YouView and Apple TV. Unfortunately, there are no Sky Atlantic packages available on Virgin Media, BT TV or TalkTalk TV. If you’re looking to buy a new TV package, it’s definitely worth taking a look at your current broadband deal too. At Broadband Genie we make comparison a piece of cake – and switching providers has never been easier. Here you’ll find reviews of all the top services, as well as advice on everything from switching to security. You’ll usually find yourself rewarded with better deals if you get an all-in-one deal with the same provider: so if you’re getting a Sky TV deal, why not check out how much more you could save per month if you switched to Sky Broadband at the same time? It’s super convenient to have just the one bill for all your entertainment services, as well as a single port of call if anything goes wrong.